21st Century Fox has agreed to sell its 39% stake in Sky to Comcast after the US pay TV giant emerged triumphant from an intense bidding process over the weekend. 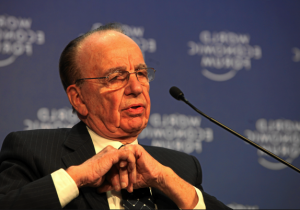 With the move Rupert Murdoch, who is chairman of 21st Century Fox, cashes out his interest in Sky – a company that he launched in the UK nearly 30 years ago. Comcast’s £17.28 (€19.23) per share offer for Sky values Fox’s stake in the business at £11.6 billion. In a statement Fox congratulated Comcast on its pending acquisition. “When we launched Sky in 1989 it was four channels produced from a prefab structure in an industrial park on the fringes of west London,” read the Fox statement. Disney, which is in the process of acquiring most of 21st Century Fox’s TV and film assets in a separate US$66 billion deal that was agreed in December, consented to Fox’s sale of its Sky stake. The company said that the Sky deal, combined with the divestiture of the Fox Sports Regional Networks, will significantly reduce the amount of debt it will incur in acquiring 21st Century Fox. Commenting on Fox’s decision to sell its Sky stake to Comcast, Sky CEO Jeremy Darroch described the deal as the close of one chapter and the opening of another. “Nearly 30 years ago Rupert Murdoch took a risk to launch Sky and in the process changed the way we watch television forever,” said Darroch. 21st Century Fox had previously moved to take full control of Sky but was eventually outbid by Comcast in a sealed bidding process that concluded at the weekend. Comcast’s bid of £17.28 per share represented a premium of 125% on the company’s price at the end of 2016, just before 21st Century Fox made its initial approach for Sky. Fox placed a final bid of £15.67 per share for Sky. Sky said at the weekend that it was in the best interests of all Sky shareholders to accept the Comcast offer, while Fox’s immediate reaction was to say it would consider its options regarding its own 39% stake in the company.